I get offers almost every day from people who want to write "guest posts" on my blog--basically, they want to use my blog as a platform to sell something or to link back to their own website. 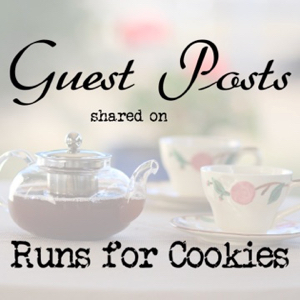 Because of this, I have a policy against all guest posts, except from people who I've invited to share their personal stories--about weight loss, running, or anything else that I think may fit in here on the blog. That said, I've gotten a ton of email since starting this blog in 2011, and I absolutely love hearing from my readers--I've read some of the most amazing stories! There are so many inspiring, surprising, funny, interesting people out there, and it is my pleasure to read their stories. Occasionally, I invite them to share on my blog (some accept, some decline for their own reasons). Here, I will link to the guest posts I've shared on my blog. Jerry (my husband) ran his first 10K, and he regales us with the story in this post. Jerry (my husband, again) responds to your questions about his own (80-pound) weight loss. Nathan (my younger brother) shares how running helped him not only lose weight and get in shape, but how it helped him to overcome many symptoms of post-war PTSD. Nathan (my younger brother) ran an ultra marathon, and he shares the experience with us in this post. Jeanie (my sister) shares her first marathon experience, as well as the tips that helped her to succeed. 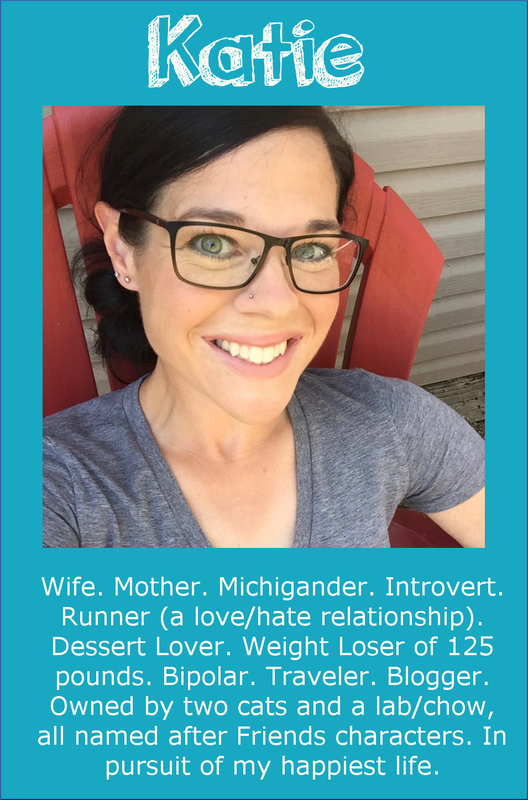 Carly (a Runs for Cookies reader) began running at 349 pounds. 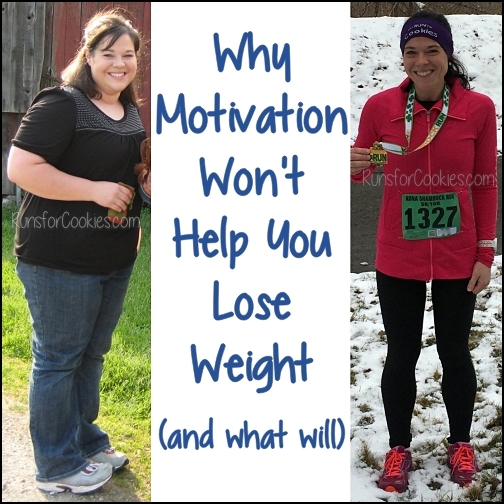 She shares her inspirational story and shares tips for overweight people to get started as runners. Adam (hilarious blogger at The Boring Runner) shares with us "The Unmentionables of Running"--the gross or otherwise TMI bits that most runners don't openly share. Ellen (a Runs for Cookies reader that I look up to very much) has lost over 100 pounds; and the best part is, she's kept it off for well over a decade. 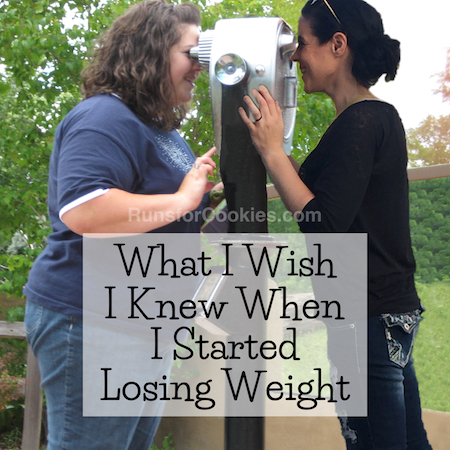 In this post, she writes about weight maintenance. Caitlin (a Runs for Cookies reader turned very close friend) has lost an astounding 240+ pounds! 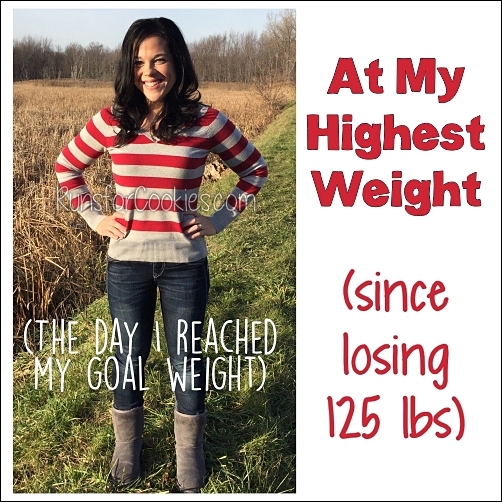 She has kept it ALL off for seven years now, never getting more than five pounds over her goal weight. Golden Harper (founder of Altra Running Shoes) shares about how Altra came to be. I was fascinated enough by his story that I wanted to interview him, so this post is a (rather long) interview with Golden. 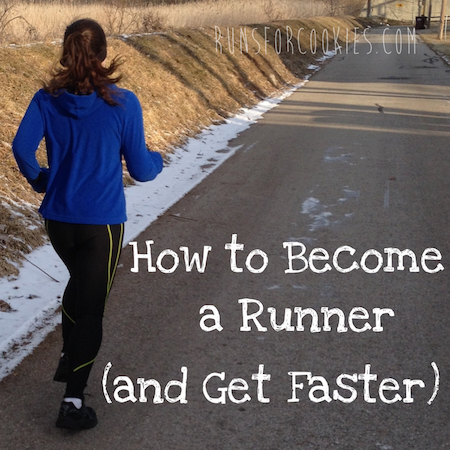 Katie (a Runs for Cookies reader) had a very humiliating and miserable 10K race experience. Even when the pace car and ambulance passed by her at the 1K mark, she continued to run. A very inspiring story to keep going! Jared (a family friend) is a man that I met through my parents' church. He is blind, but hasn't let that stop him from walking to help lose weight. He walks loops around his house, and has lost more than 100 pounds! Here is a post with snippets from everyone who was in From Fat to Finish Line, sharing what has happened since the film. Caitlin gives an update on her 240-pound weight loss, and how maintenance is going for her. Caitlin shares what it's like to experience a boudoir photoshoot--something she'd never thought she'd do! 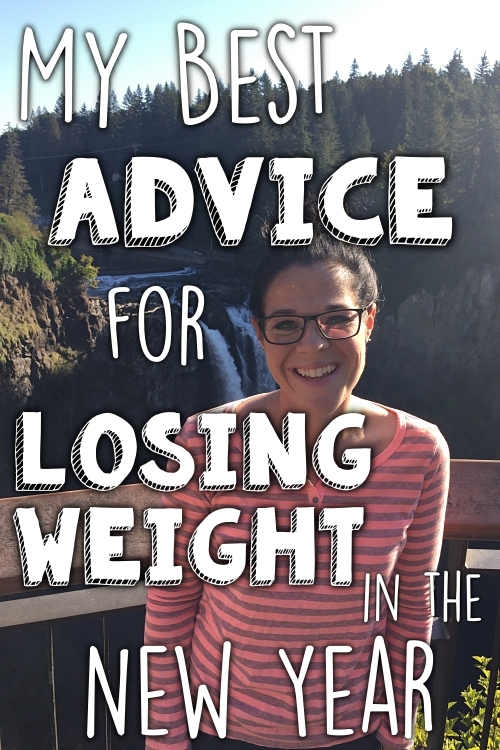 The post must be a PERSONAL story about a topic that fits in with my blog's general "lifestyle" theme (weight loss, fitness, mental health, financial freedom, sobriety, hurdles you've overcome, etc). I am not looking for "how to" posts or preachy stories. The post may not contain any affiliate or sales links, nor links to any promotional, business, or product websites. Photos (about 2-5) must be your own (no stock photos), and by submitting them, you are giving permission to share them on my blog. Please make sure that if there is someone else in the photos, they are cool with you sharing it. I will likely edit the post for length, clarity, and/or format. If you'd like, I can send it back for your approval before posting. I do not pay for (or accept payment for) guest posts. The whole purpose behind guest posts is for my blog readers to share their stories to inspire others. The more personal the story, the better, and a conversational tone is the most engaging. Basically, just tell your story as if you are chatting with a friend! I cannot guarantee that I will share your story, but you are welcome to email me an inquiry. Please do not send me an entire post--just a paragraph explaining what you'd like to write about will be all that I need. I may contact you further if I am interested in learning more. Please don't be offended if you don't hear from me about this, though--like I said, I am very selective for a large variety of reasons. Right now, I would love to get some stories about mental health, financial freedom, and sobriety.